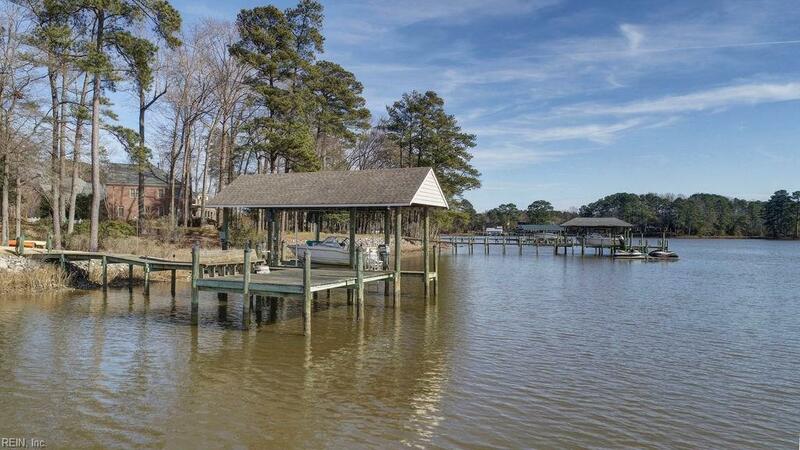 154 Breezy Pt, York County, VA 23692 (#10242485) :: Abbitt Realty Co.
LUXURIOUS YORK COUNTY WATERFRONT ! 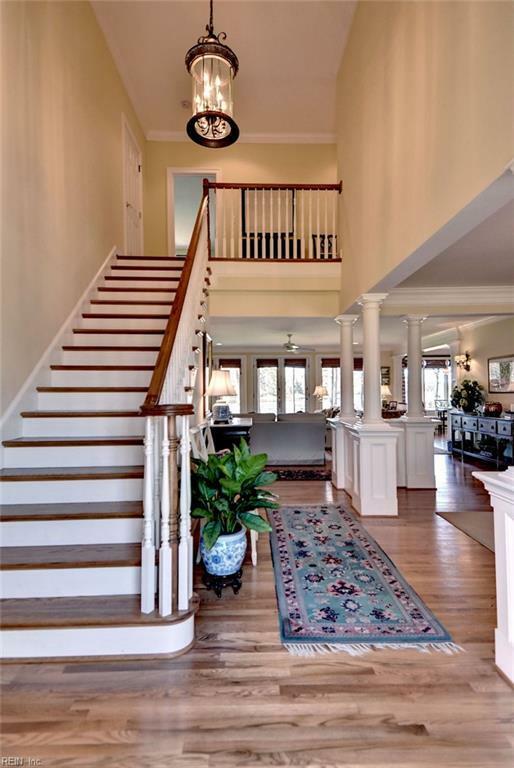 LIKE NEW CUSTOM CONSTRUCTION FEATURING OPEN PLAN,FIRST FLOOR MASTER SUITE AND 205 FT OF THE POQUOSON RIVER.BEAUTIFUL COMBINATION OF TRADITIONAL ,FORMAL AND CASUAL FOR TODAYS LIVING.OPEN FOYER WITH COLUMNS,TALL CEILINGS AND RIVER VIEWS.FLOOR TO CEILING WINDOWS OVERLOOKING THE RIVER HIGHLIGHT THE LIVING AREAWITH GAS FIREPLACE BUILT INS AND CUSTOM TRIM WORK.LARGE GRACIOUS DINING ROOM WITH WAINSCOTING,PLANTATION SHUTTERS AND MORE CUSTOM TRIM WORK.THE GOURMET LIGHT FILLED KITCHEN FEATURES ELEGANT WATERFRONT BREAKFAST AREA,OVERSIZED CENTER ISLE,CUSTOM CABINETRY WITH BUILT IN CHINA CABINET,GRANITE,STAINLESS AND GLEAMING HARDWOOD FLOORS.ALL THIS WITH RIVER VIEWS AND EASY ACCESS TO LARGE SCREENED PORCH.THE 700 SQ.FT. 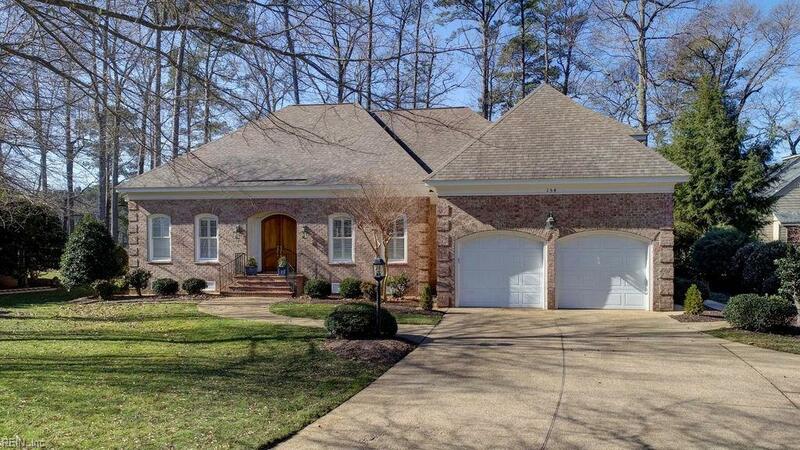 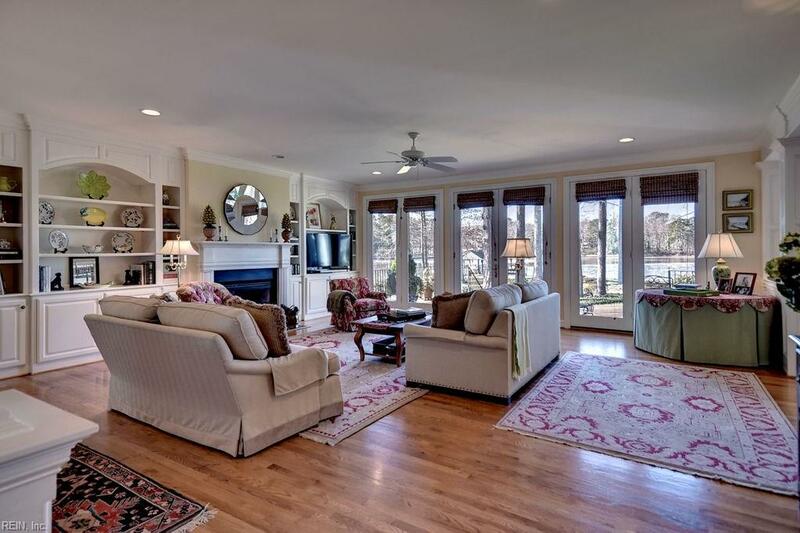 RIVERFRONT FIRST FLOOR MASTER SUITEFEATURES HIS AND HER VANITY AREAS ,WALK IN CLOSETS,JETTED TUB AND TILED GLASS SHOWER.ALL SECOND FLOOR BEDROOMS ARE RIVERFRONT.LANDSCAPED GROUNDS WITH PIER,BOAT LIFT AND EASY ACCESS TO THE CHESAPEAKE BAY.